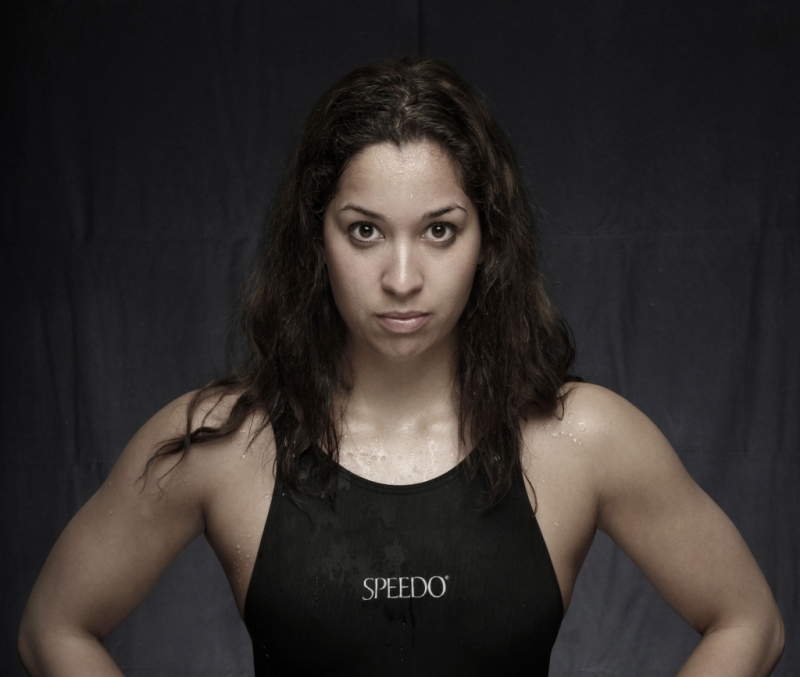 Ranomi Kromowidjojo (born August 20, 1990 in Sauwerd, Netherlands) is a Dutch swimmer of mixed Dutch-Javanese Surinamese origin who mainly specialises in sprint freestyle events. She is a triple Olympic champion, winning the gold medal in the 4×100 m freestyle relay at the 2008 Olympics and in the 50 m freestyle and 100 m freestyle at the 2012 Olympics. 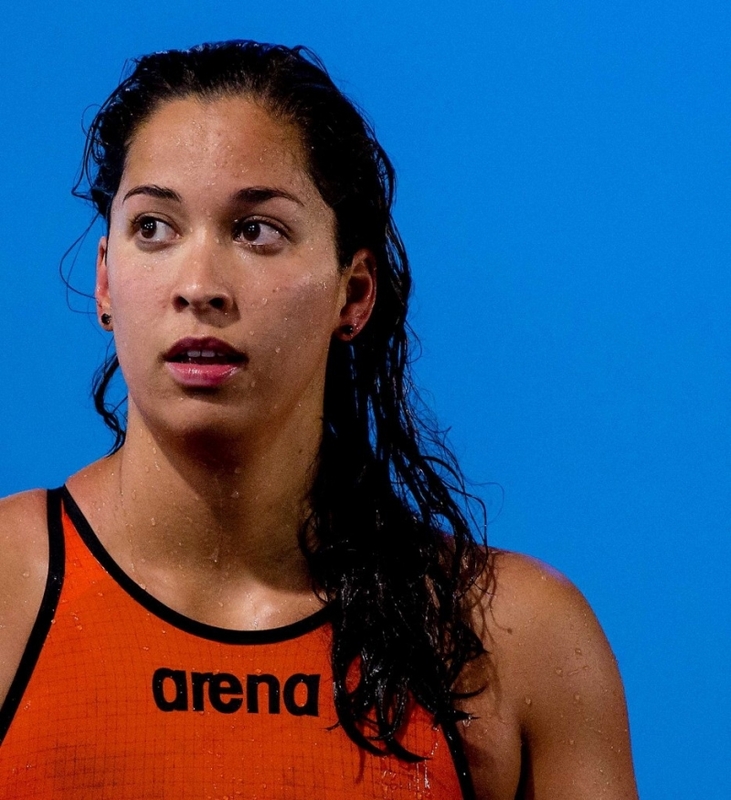 As part of the Dutch team, she holds the world records in the 4×50 m freestyle relay on short course (25 m pool), and 4×100 m freestyle relay on long course (50 m pool) and short course. Kromowidjojo, who is of partly Javanese Surinamese heritage, was born in Sauwerd and started swimming at the age of 3, while on a family holiday in Spain. Her family name is Javanese with roots in Sanskrit loan words, which means "Orderly Victory". She won her first medal taking silver in the 4 × 100m freestyle relay at the 2006 European Championships in Budapest. She went on to represent her country in successive FINA World Championships and at the 2008 Beijing and 2012 London Olympics. She suffered viral meningitis while training with her national team in the Canary Islands in July 2010, but recovered to take part in the World Championships later that year. 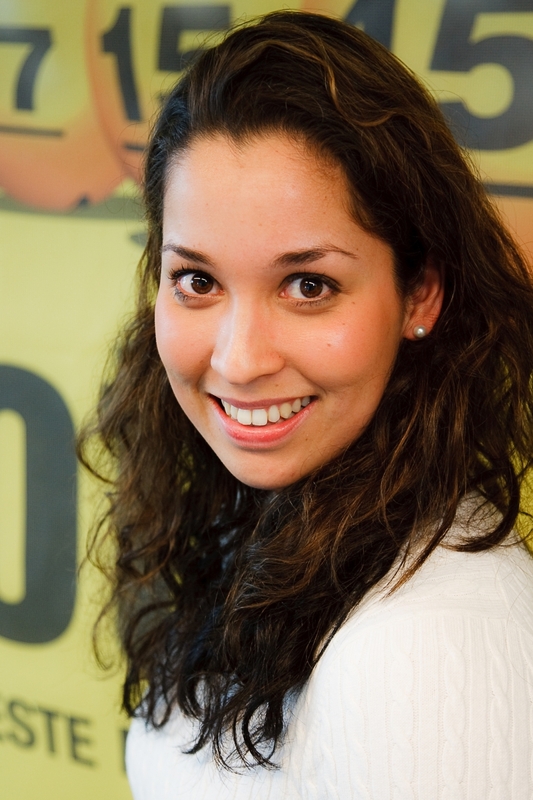 She is currently a student at the Business School Notenboom in Eindhoven. After winning medals at the European Junior Swimming Championships in 2005 and 2006 she made her international senior debut at the European LC Championships 2006 in Budapest, Hungary. She immediately won her first international senior medal in the 4×100 m freestyle relay, alongside Inge Dekker, Chantal Groot and Marleen Veldhuis, at the age of 15. She went on to qualify for her first World Championships. At the World LC Championships 2007 in Melbourne, Australia, she won a bronze medal in the 4×100 freestyle relay together with Inge Dekker, Femke Heemskerk and Marleen Veldhuis. Individually she finished 13th in the 100 freestyle. At the end of 2007 she swam the A-qualification standard for the 2008 Summer Olympics in the 50 m and 100 m freestyle and swam the world record in the 4×100 m freestyle Short course, with Hinkelien Schreuder, Femke Heemskerk and Marleen Veldhuis, at the Dutch Open Swim Cup. In the week afterwards she competed in the European Short Course Swimming Championships 2007 in Debrecen, Hungary. There she swam another world record in the 4×50 m freestyle short course together with Hinkelien Schreuder, Inge Dekker and Marleen Veldhuis. Her first major tournament in 2008 was the 2008 European Aquatics Championships in Eindhoven. 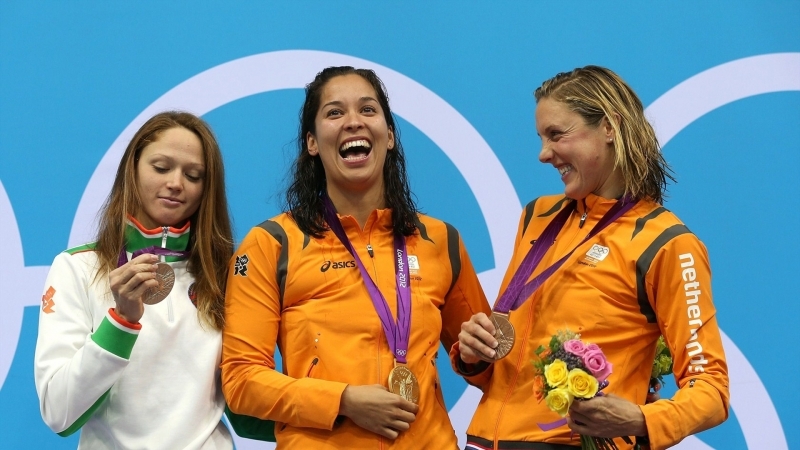 In the 4×100 m freestyle, she won the gold medal and with the team: Inge Dekker, Femke Heemskerk and Marleen Veldhuis. They broke the world record, the new standard is 3:33.62. With the same team she finished fourth in the 4×200 m freestyle. Individually she finished 9th in the 200 m freestyle. A few weeks later at the 2008 FINA Short Course World Championships in Manchester she won the world title in the 4×200 m freestyle relay and broke another world record, again with Dekker, Heemskerk and Veldhuis. After the 100 m freestyle heats she withdrew from the tournament with an elbow injury. At the 2008 Summer Olympics in Beijing and a few days before her 18th birthday, she became an Olympic champion by winning the gold medal in the 4×100 m freestyle, again alongside Inge Dekker, Femke Heemskerk and Marleen Veldhuis. Their time was 3:33.76; just outside their own world record. The day after she started individually in the 200 m freestyle ending 23rd in the heats. She was also part of both the 4×200 m freestyle and 4×100 m medley relay teams, which failed to qualify for the respective finals. At the end of the year Ranomi took part in several championships. She started with the Swim Cup Eindhoven 2008, where she broke the national record in the 50 m backstroke long course, her first individual national record, and qualified for the 2009 World Aquatics Championships in the 100 m freestyle. One week afterwards she took part in the European Short Course Swimming Championships 2008 in Rijeka, Croatia. Where she won two gold medals, in the 4×50 m freestyle and 4×50 m medley relay, and a bronze medal in the 100 m freestyle behind Marleen Veldhuis and Jeanette Ottesen. She also became sixth in the 50 m backstroke. On the 26th of July 2009 at the World LC Championships 2009 in Rome, Italy, she won gold in the 4×100 freestyle relay with Inge Dekker, Femke Heemskerk and Marleen Veldhuis, setting a new world record (3:31.72). In 2010 Kromowidjojo took part in the 2010 FINA World Swimming Championships (25 m) winning individual gold medals in both the 50m freestyle and the 100m freestyle, setting a championship record of 51.45. She also won a gold medal as part of the 4×100m freestyle relay team alongside Inge Dekker, Femke Heemskerk and Hinkelien Schreuder with another championship record of 3:28.54. In 2011 Kromowidjojo won a gold medal at the 2011 World Aquatics Championships as part of the 4×100m freestyle relay team alongside Inge Dekker, Marleen Veldhuis and Femke Heemskerk in a time of 3:33.96, 2.24 seconds above their own world record. Individually she won a bronze medal in the 100m freestyle with a time of 53.66 behind Jeanette Ottesen and Aleksandra Gerasimenya who tied for first in 53.45. At the 2012 Summer Olympics in London, Kromowidjojo and her teammates started the meet with a silver medal in the 4×100 m freestyle relay, an event in which they were the defending champions. The gold medal went to Australia. Later during the week, Kromowidjojo set an Olympic record of 53.05 s in the semifinals of the 100 m freestyle. The next day in the final she followed this up by winning a gold medal in a new Olympic record of 53.00 s, ahead of reigning world champion Aleksandra Gerasimenya and Tang Yi. In the 50 m freestyle she qualified fastest for the final with a personal record of 24.07 s. In the final she completed the sprint double by winning a gold medal in a new Olympic record of 24.05 s, again beating Gerasimenya, as well as training partner and compatriot Marleen Veldhuis. Kromowidjojo was honoured for her performances in the 2012 Holland Heineken House in London. By winning the 50 m and 100 m freestyle, Kromowidjojo followed in the footsteps of compatriot Inge de Bruijn, who won both events at the 2000 Olympics in Sydney. The European Swimming Federation named Kromowidjojo female European swimmer of the year 2012.